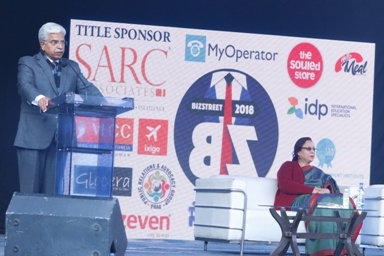 New Delhi: Indian Fintech startup, IDAP Global has initiated raising capital for its pilot project, idap.io, the first complete derivatives ecosystem for crypto assets. 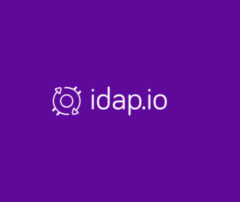 IDAP is doing an Initial Coin Offering (ICO), joining startups that have bypassed traditional funding in favour of the Kickstarter style crowdfunding powered by cryptocurrencies and blockchain. With its diverse product offerings and a major focus on crypto-based derivatives, idap.io is on the cusp of tapping into a multi-billion-dollar market. At present, only a handful of exchanges across the world offer crypto derivatives for trading. Besides, the products offered are severely limited and available only for one or two major virtual coins like Bitcoin and Ethereum. However, idap.io will provide a consolidated marketplace for a wide variety of crypto derivatives for multiple top coins and tokens. The idap.io project is a global endeavour, powered by a team of founding members who are engineers turned traders who made the switch to crypto after cumulatively spending over three decades in traditional markets. idap.io is bringing a valuable perspective to crypto trading, that will address many issues traders currently face. Moreover, by going global, they have an edge over the numerous crypto exchanges currently based in India. What sets idap.io apart is that for the very first time, IDAP Simulator, a Simulated Trading Environment is being introduced for the benefit of crypto traders. Using real data, the Simulated Trading Environment lets users experience trading without having to actually buy cryptocurrencies. The Simulated Trading Environment will be useful for experienced traders too as it will let them develop and test out new trading strategies. The ICO is giving the project a chance to not just do fundraising in order to fuel development of the platform but to also let the community of cryptocurrency traders invest first-hand in a project designed specifically for their trading and investment needs. ICO participants will be able to avail many benefits by holding onto their tokens once the exchange goes live, like getting discounts on trading fees as well as waving off of fees. Out of a total of 1 billion tokens, 75% are being sold to the public in the ICO. Currently, the pre-sale of the ICO is on, offering IDAP tokens at 25% bonus.